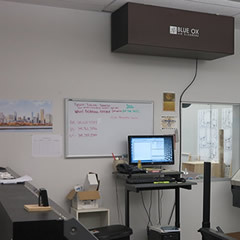 Summary: Weber Made USA is a small canvas printing company in St. Louis. 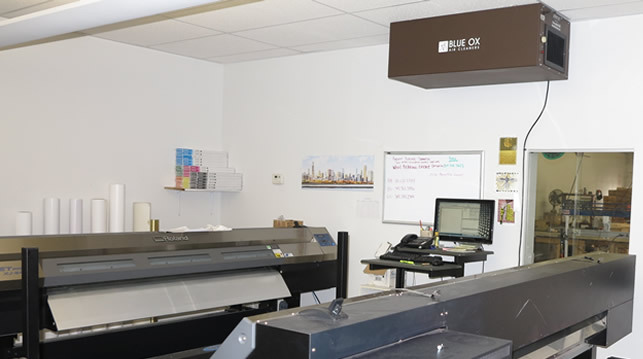 They were having an issue in their print shop with printer solvents in the air. These VOCs are not only odorous but they also affect the quality of the air and can be harmful and cause numerous health problems. 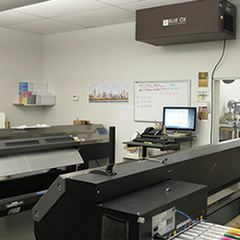 Challenge: Working with such a small space, the owner wanted a solution that wouldn't be intrusive to their work space. 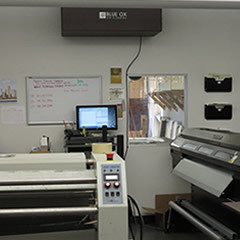 They also wanted a cost efficient solution that didn't require construction or a complicated installation. 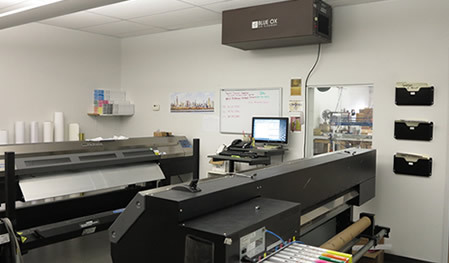 Solution: We were able to hang one OX1100-CC unit in the printing area. 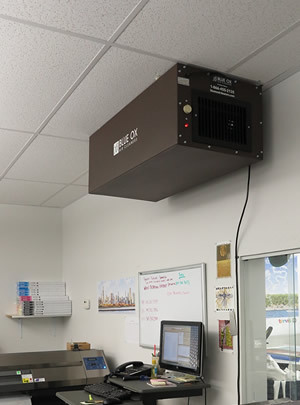 By hanging it on chains through ceiling tile, they were able to keep the units from intruding on their work area. 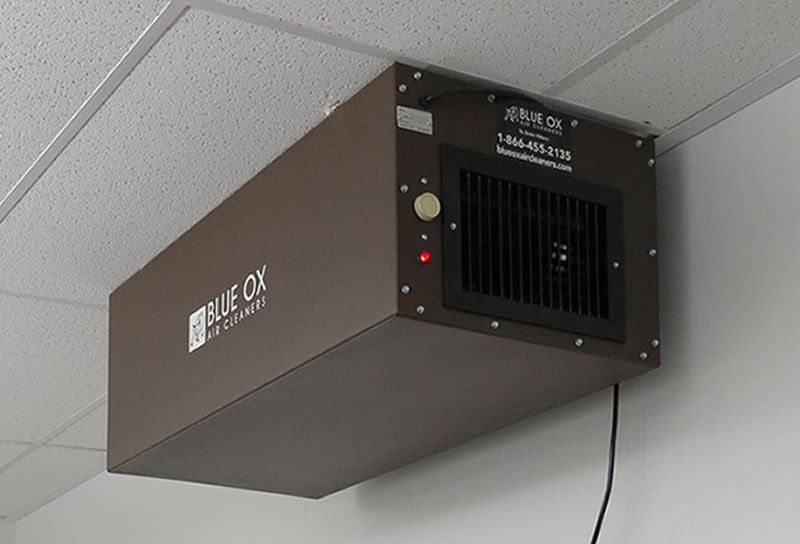 All Blue Ox Air Cleaners are plug and play making installation quick and easy. 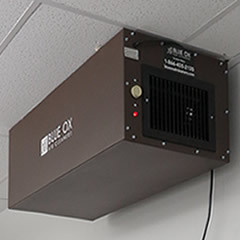 One OX1100-CC has the strength to remove the printing solvents and odors from the air in this printing shop.